I was working a flight on Tuesday evening, busy with a full flight (128 passengers, a handful of them were really cute babies), and counting the minutes to go home. My phone made a sound. I checked my messages and saw Rick sent me a video of Lydia talking to his camera. Yep. Lydia was saying mama. Lydia. The Lazy Baby. 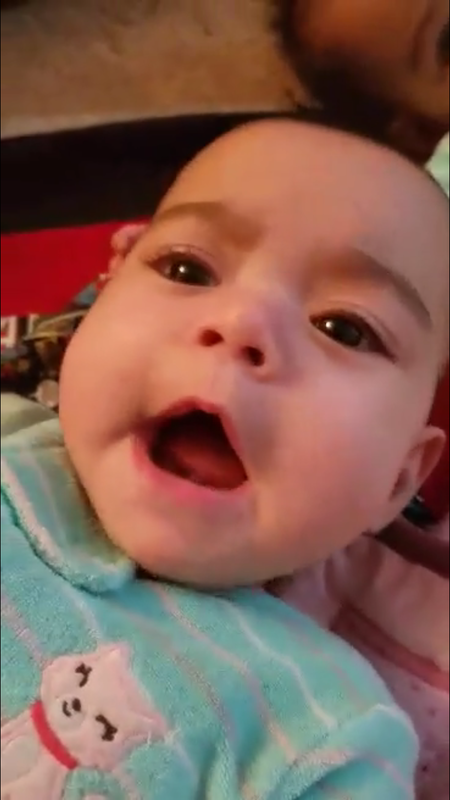 Not only had her babbling gotten a lot more coherent lately, she now said her first word! And it was mama. You could hear the happy daddy saying “Say hi to mama! Is that mama?” I kinda hid behind our gate and shed a few happy tears, then proceeded to show the video to every coworker, the flight crew, and sent it to a few people. I ended up coming home in time to change her last diaper and she was proudly saying “mama mama ah mama baba mama”. Lydia had her first Early Intervention appointment yesterday, much earlier than the 23rd. Her PT guy is a very sweet pediatrician from our town, and he was happy with how quickly she had progressed from her evaluation, and kind of stared at her when she kept saying “mama mama”. 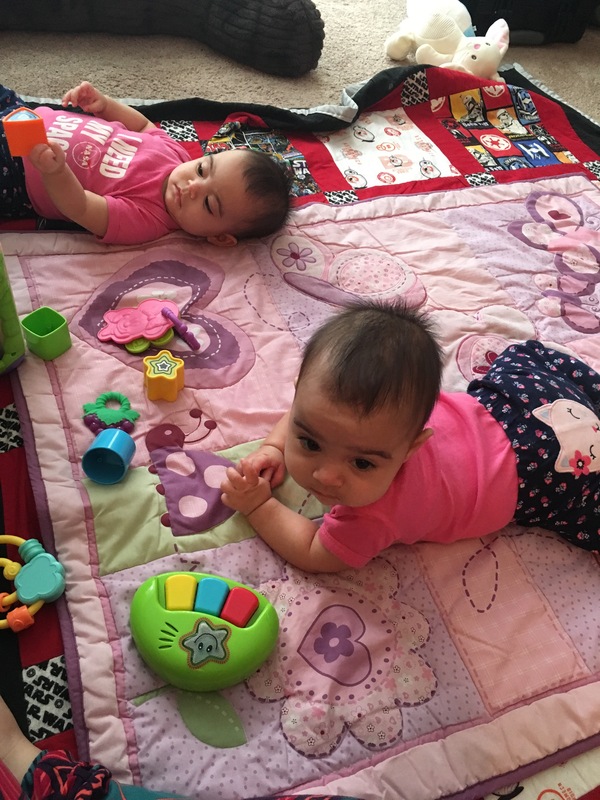 He also took a look at River’s motor skills and gave us tips on what to work on for this week – helping them prop themselves on their elbows instead of having the “parachute” reflex (laying on chest with their arms out). He wants to get them sitting up soon. They’ll be 8 months actual tomorrow, and are 5 months and a week old corrected, so he says they should be sitting and supporting themselves by now. Lydia’s (and River’s I suppose, since he will be working with her a little bit too) next appointment will be on this coming wednesday. I’ll be letting Emerson, our girls’ babysitter, know what to work on with them and to be prepared for whining! For now, proud and happy mama right here!